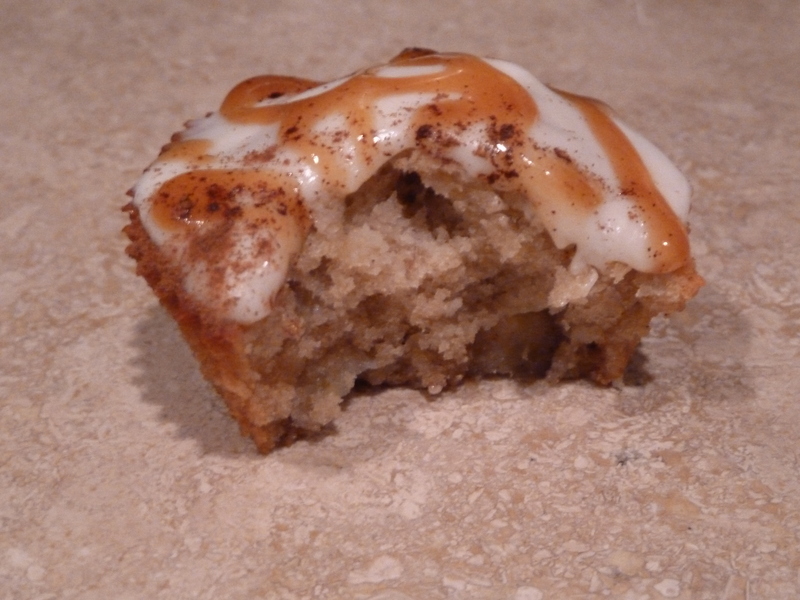 bananas foster cupcakes | Is there any wine left? I’m not proud to admit it but I’m currently suffering sharp stomach pains from eating an entire dozen of these in one sitting. These truly taste like bananas foster and they are really moist. I think this recipe was definitely worth the extra step of making the bananas foster. 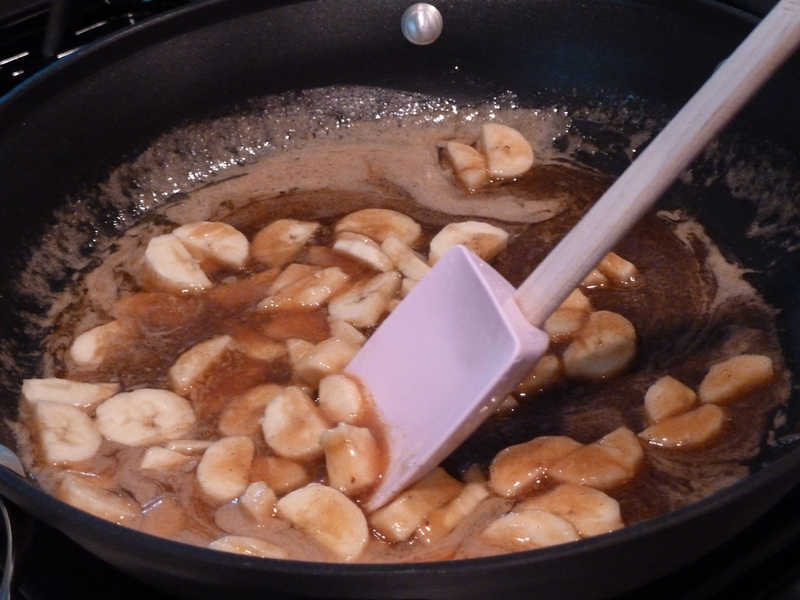 Combine the brown sugar, butter, rum, cinnamon, vanilla and bananas in a saute pan. Cook over medium heat for 4-5 minutes, until the butter-sugar mixture starts to thicken. Remove 1/2 c of the banana mixture and set aside. In your stand mixer, cream the butter until it is light-colored and fluffy. Beat in the sugar until combined. Add eggs, vanilla, rum, sour cream and the larger portion of the banana mixture. Mix well. In another bowl, sift together the flour, baking soda, and salt then add to the mixing bowl. 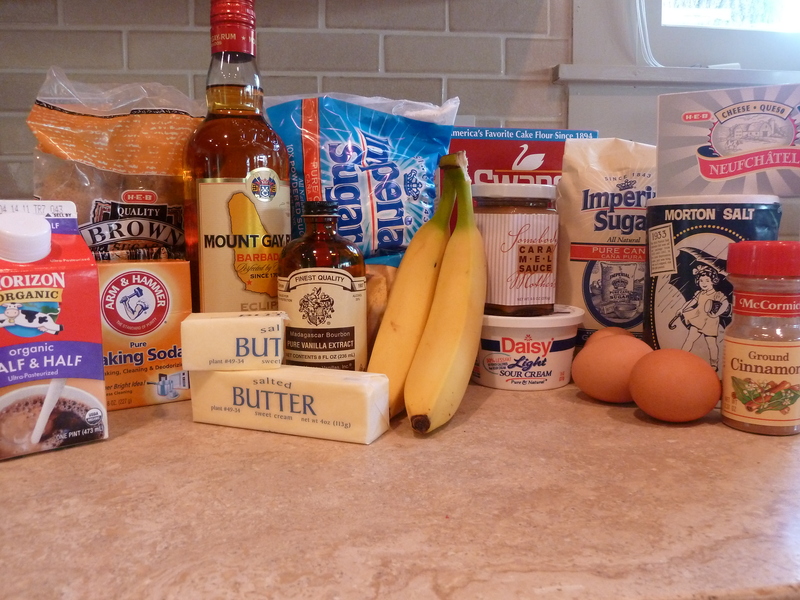 From the 1/2 c of reserved banana mixture, add a few pieces of bananas to each cupcake well. 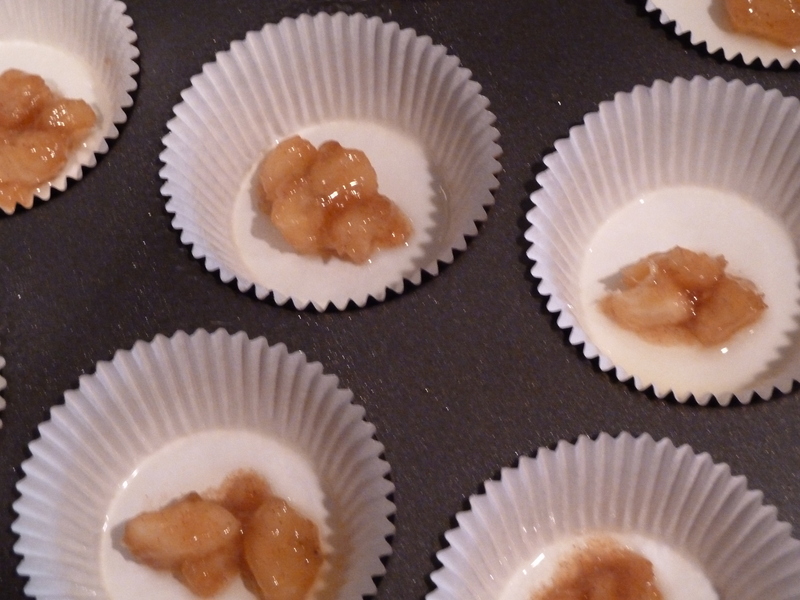 Pour the batter over the bananas into the cupcake pan and bake at 350 degrees F for 20-25 minutes. While the cupcakes are baking, beat the softened butter and cream cheese together. Add the powdered sugar and half-and-half until you reach the desired consistency. Once the cupcakes have cooled, frost each one with the cream cheese frosting. 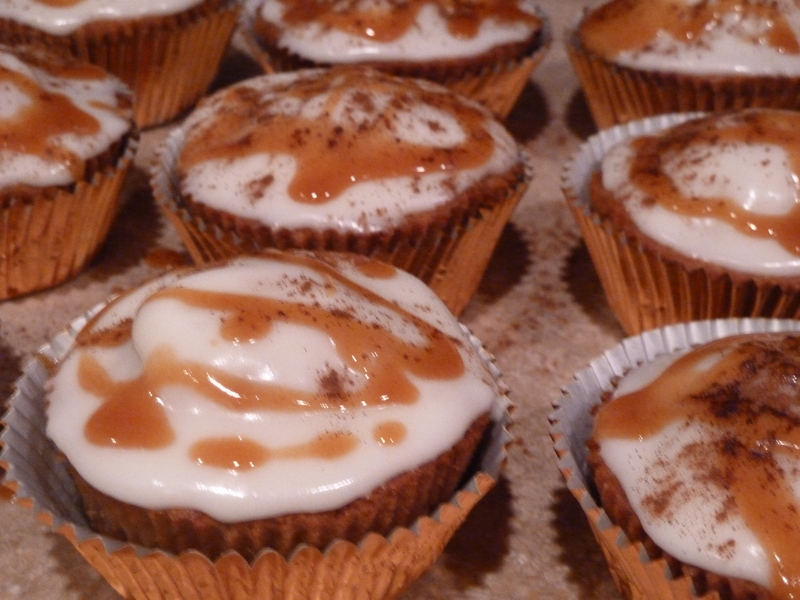 Drizzle the caramel sauce over each cupcake and sprinkle with cinnamon. What a recipe to send the day before Lent they look delicious. I have never made this before and it looks great. My boys will love it.